They are missionaries in a "closed" country spreading the gospel to those who have never heard. A year or so ago, my family (along with one other family from our church) began sending them emails, small gifts, financial support, and prayer. When they were here, I was chatting with the mom about her homeschooling efforts. Living in a foreign nation all the way on the other side of the world has its challenges, to be sure. The language barriers alone could leave anyone feeling isolated and emotionally impoverished. But in addition to all the regular cross-cultural struggles, she bears the weight of trying to homeschool in a country that disdains it. Most days, she nurtures chaos just trying to do the best she can with the limited resources available to her. After she and her family left, I began compiling a list of all the possibilities worth looking into. I pulled at every thread of potential, noting all online curriculums, eClasses, and video courses -- any and every resource that I could think of that would help to lighten her load. The digital age has gifted missionaries, like our friends, with a feast of possibilities. Never has there been such a smorgasbord of alternative learning. 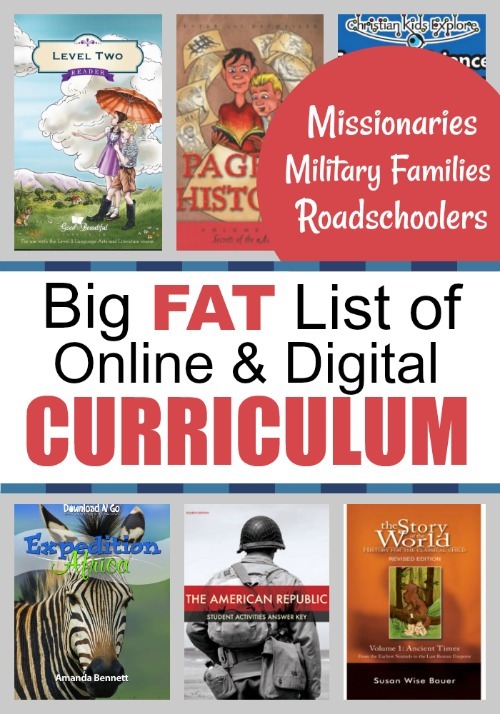 And while all of these online offerings will work for ANY homeschool situation, they seem especially helpful for folks far from home...foreign missionaries, military families, and roadschoolers. Seterra is a free mapping programme. Great for learning the location of countries. We use it most weeks. Great! I'll get it added. 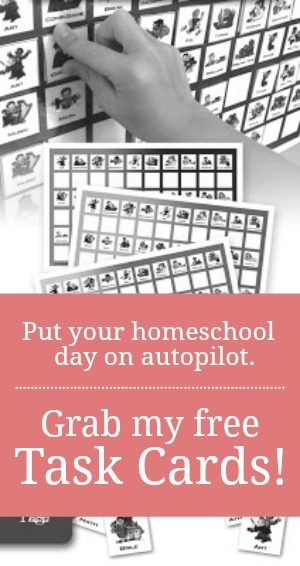 There's also virtualhomeschoolgroup.org which has math, science, and some writing classes. Wow! Thank you for this. I also live in a "closed" country and attempting to start homeschooling Shipping makes books impossible from the US so always looking for digital ideas. Thank you! You are most welcome, Kelly. I hope there are some things you can use on this list.